I've edited a few Crafters on my list. I find that nowadays I am working to do a lot more CAS cards because the superglue and glue gun were becoming a lot for me to handle! (Glue everywhere!) And now I'm developing more techniques leaning towards the Clean and Simple cards now with minimal stamping, colouring and inks because I'm finding these a lot more easier to make and in high numbers, but I'm still tinkering with the ribbons, lace and doilies! Kristina Werner - Still a huge favourite with me. I watch her Make a Card Monday series on her YouTube channel and she now does a series called 'Colour Wednesday' which I would love to be able to follow along with as I'm trying to work wonders with my Promarkers! Vicky Papaioannou - Great and simple crafter too, makes lovely, cute, simple cards but still manages to create projects in other mediums as well. Fairly new to her YouTube channel, but really like her tutorials and makes! 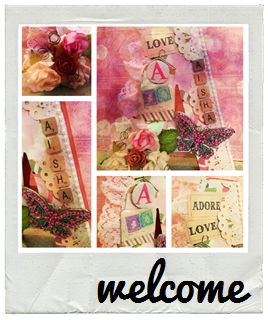 Debby Hughes - She creates some brilliant and awesome CAS cards. Her use of minimal material, dies and stamping is just amazing and I love the fact that her cards look gorgeous and clean - I would love to be able to master these simple techniques without going overboard. Jennifer McGuire - Another great crafter using a mix of inks, stamps and dies to create storage ideas, your own patterned papers or backgrounds and encouraging colourful creativity! These are the four I regularly get inspired with for simple cards, and trying to master this is proving to be challenging but I hope that I can eventually do this! I had a whole list of people last year, but these guys above I regularly go to for creative encouragement. I still do watch Create and Craft and Ideal World as well when I'm not working, so I'll try and drop by and see Anna Griffin, Barbara Gray from Clarity Stamps and others, so they're still there amongst the list! I've tried.....and failed miserably.....at CAS cards.....but I suppose the fun's in the trying, right! Off to spy on some of your faves! 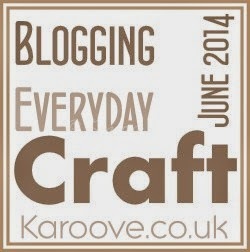 Discovering new crafters all the time, hoping to get inspired by everyone else's favourite crafters and bloggers too!